2005. December 26th. Someone* working for the Cochrane Collaboration was on the Internet when he accidentally saw the AOL’s home page mentioning a powerful earthquake in the Indian Ocean, triggering a powerful tsunami that swept the coasts of neighboring countries. The story and the horror unfolded over the next hours and days. From the first reports of a few thousand dead to, within a day, a few thousand dead and tens of thousands missing in one part of Indonesia alone. As reader of this blog, you probably know that the Cochrane Collaboration (http://www.cochrane.org/) is an international not-for-profit and independent organization, dedicated to making up-to-date, accurate information about the effects of healthcare readily available worldwide. It produces and disseminates systematic reviews of healthcare interventions in the Cochrane Library, which is available through subscription. The information on which these are based is drawn together collaboratively by a global network of dedicated volunteers, supported by a small staff. That Christmas, the idea was born to set up “Evidence Aid”. A working party was established early January 2005 of people in the region and elsewhere. Emails were send to people from the affected countries to express sympathy and support, and to ask for suggestions on how The Cochrane Collaboration might help. 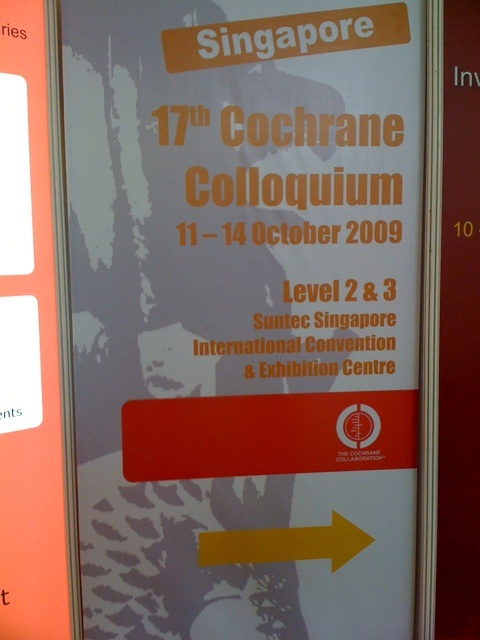 Then, a list of over 200 interventions relevant to health care in the aftermath of the tsunami was made in consultation with all Cochrane entities, Cochrane members from affected countries, and members of other agencies such as the World Health Organization, Oxfam (one of the main UK charities working in the region), and the publishers of BMJ’s Clinical Evidence (http://clinicalevidence.com). A prioritization was made, and subsequently lists were made of topics for which up-to-date Cochrane reviews were available and lists for which reviews were not yet available (see updated lists of available and not currently available topics). 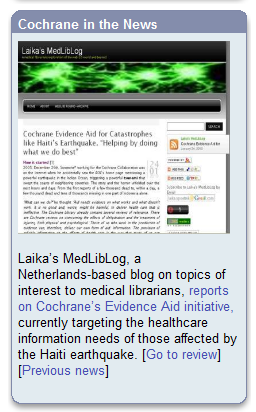 The summaries link to the full evidence, which is already available on the Cochrane Library. If a summary is not currently available but there is a relevant Cochrane review in the Cochrane Library, a link takes people straight to that review. If a suitable Cochrane review is not available, links are included to other identified sources of evidence, in particular, to topics in Clinical Evidence . One helpful Cochrane Review was the Cochrane systematic review on the effects of brief “debriefing” , which is a procedure aimed to reduce immediate psychological distress and to prevent the subsequent development of psychological disorders, notably Post Traumatic Stress Disorder (PTSD). The review shows that this strategy is unlikely to be helpful and may even be harmful and cause an increase in PTSD. After the tsunami, many teams of well-meaning people rushed to one of the worst hit areas in India, offering brief debriefing to survivors in each village, and then rushing on to the next of the 93 tsunami-affected villages in the district. Prathap Tharyan, Professor of Psychiatry and Coordinator of the South Asian Cochrane Network, found the relevant Cochrane review on debriefing and urged that this type of single session debriefing should not be provided. This message was incorporated into the content of counselor training workshops, along with evidence for interventions supported by the results of systematic reviews and other high quality research. After the tsunami it was decided to continue with Evidence Aid in natural disasters and other healthcare emergencies, drawing on knowledge gathered. Following the devastating earthquake in Haiti, The Cochrane Collaboration is working with colleagues in the World Health Organization (WHO), Pan American Health Organization (PAHO), the Centre for Reviews & Dissemination (UK), Cochrane Review Groups and others to identify Cochrane reviews and other systematic reviews of immediate importance. These, along with available Evidence Update summaries, were made available in a special Evidence Aid collection on Cochrane.org on 15 January, and have been shared with WHO and PAHO. Access to Evidence Aid resources for Haiti: The summaries are available at http://www.cochrane.org/evidenceaid/haiti/index.html and The Cochrane Library is freely available in the region through a variety of means. One is the Biblioteca Cochrane Plus via the Virtual Health Library BIREME interface (in English, Spanish or Portuguese). Also, the PDF versions of all the highlighted Cochrane reviews are now available free to all on The Cochrane Library website. A PLOS article on Evidence Aids in 2005 already concluded: “No, not nearly enough”. Not all topics on the list have been covered by an up-to-date, good-quality systematic review. And, similar as in 2005, not all reviews have conclusions that can guide practice, because of a lack of relevant good-quality studies. After all, reviews are only as good as the studies they review. Therefore it is important to fill the gaps with good quality reviews and new practical trials on the most urgent topics. Although things have certainly changed, i.e. more topics are now covered, there still remains room for further improvement. If you would like to suggest additional material not yet covered, please contact Mike Clarke (mclarke@cochrane.ac.uk). You can also contribute to Evidence aid in other ways. * This person signed the Gem  with “Insider”. It is not difficult to gather that the Insider is Mike Clarke, professor of clinical epidemiology at the University of Oxford, director of the UK Cochrane Centre and convenor of the working group which has set up the initiative. 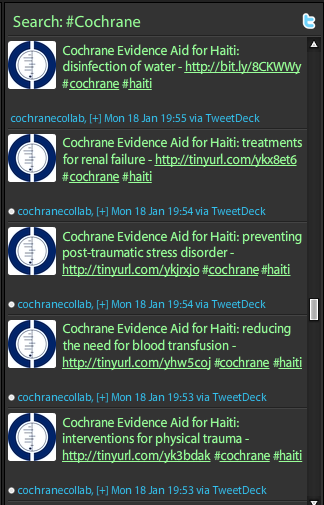 Afterword: Last Monday, tweets mentioning Cochrane Evidence Aid topics appeared in my twitterstream (see Fig). As I was not profoundly familiar with this initiative, I wanted to gain more knowledge about it and summarize my findings in a post. I’m thankful to Mike Clarke and Nick Royle for instantly responding to my request for more information and Mike in particular for sending me the draft he compiled for CC-info  and an older cochrane gem , that explained how Evidence Aid arose. Disclaimer: I’m employed as a Trial Search Coordinator of the Dutch Cochrane Centre for one day per week. The opinions expressed at this blog, however, are my own. Cochrane Gem for week commencing 4 January 2005, written by “Insider”. Gems are weekly highlights one of new reviews or sometimes important news. Gems are available at the CKS database here. World Health Organization (2005) Three months after the Indian Ocean earthquake-tsunami: Health consequences and WHO’s response. Available: http://www.who.int/hac/crises/internatio​nal/asia_tsunami/3months/en/index.html . Accessed 24-01-2010. Rose SC, Bisson J, Churchill R, Wessely S. Psychological debriefing for preventing post traumatic stress disorder (PTSD). Cochrane Database of Systematic Reviews 2002, Issue 2. Art. No. : CD000560. DOI: 10.1002/14651858.CD000560. Edited (no change to conclusions), published in Issue 1, 2009. Draft written for CC-INFO (January 21, 2010) by Mike Clarke. It will become available at the CC-info archive. People are still struggling with evidence or modern medicine  clinicians, patients, health consumers, carers and the public alike. Part of this is because we always thought medicine was based on quality research, or evidence. It is not only that. For evidence to be used most effectively in healthcare systems researchers, clinicians and the existing or potential patients and carers have to communicate and resonate with each other – to share knowledge and responsibilities both in developing the evidence and in individual decision making. On the broader population level, this may include consultation but is best achieved by developing partnerships. The Cochrane Collaboration develops a large number of the published systematic reviews of best evidence on healthcare interventions, available electronically on The Cochrane Library. Systematic reviews are integral to the collation of evidence to inform clinical practice guidelines. They are also an integral part of health technology assessments, where the cost-effectiveness of healthcare interventions is determined for a particular health system. 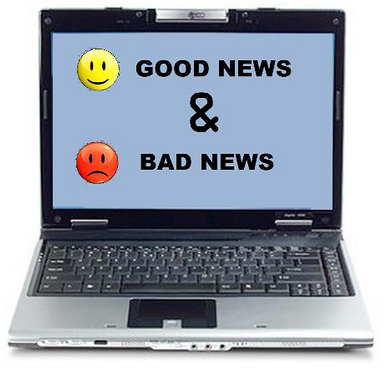 With the availability of the Internet we are able to readily share information. We are also acutely aware of disadvantage for many of the Worlds populations. What this has meant is pooled efforts. Now we have not only the World Health Organization but also The Cochrane Collaboration, Guidelines International Network, and Health Technology Assessment International. What is common among these organizations? They involve the users of health care, including patients, consumers and carers. The latter three organizations have a formal consumer/patient and citizen group that informs their work. In this way we work to make the evidence relevant, accessible and being used. We all have to be discerning whatever knowledge we are given and apply it to ourselves. This is a short post on request.